Summer is a great time for kicking back and enjoying the sunny weather with friends. One way that many people do this is with a great backyard barbecue. A BBQ is the perfect way to enjoy great food, tasty cold drinks, and time with your friends. You can spend time together while you enjoy great food and the beautiful weather. That’s what summer is all about. But first, you need to have the right grill to pull this all off. So how do you make sure you buy the best grill for your needs? No one can tell you exactly what kind of grill to purchase. There are many different ways in which a grill can be used. In fact, a grill can vary as much as the person who uses it. What we can do is give you some ideas of what to look for when shopping for the best grill. 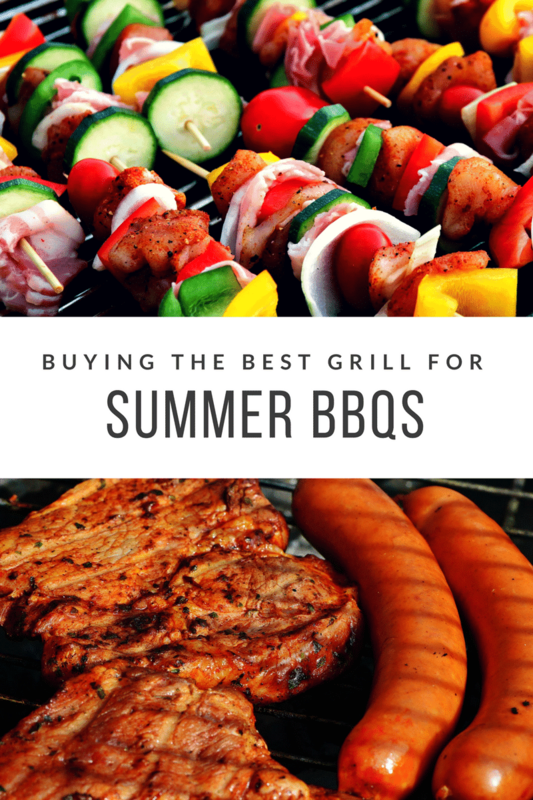 There are several things you should keep in mind when searching for the best grill for your summer BBQs. First, know what you will be using the grill for. What kind of foods will you be grilling? Will you be keeping your grill in your backyard or do you need it to be portable? When you know what kinds of foods you will be making, and where you will be grilling, it will help you choose the best grill for your needs. Next, consider the size. How big does your grill need to be? What kind of space will you be using it in? How many people will you be cooking for? The answers to these questions will help you determine the size. Don't forget to take in mind the fuel type. Do you want a gas grill or a charcoal grill? Many people believe this affects the tastes of the foods cooked on the grill so this is important to determine before you start shopping as well. With these tips in mind you can ensure you buy just the right grill for your BBQ needs. Once you do finally settle on the perfect grill don't forget to pick up accessories like a grill brush and a grill cover to ensure that your grill stays in top notch condition. Now all that’s left is to get to grilling! We are grill shopping this weekend and I havent thought about all these things yet! Thanks for the tips. Thanks for sharing all these things. To me, nothing is better than a good ole’ regular BBQ grill. Gas grills just don’t taste the same to me. I need a new grill really badly actually. Might just put that on my Christmas list. I’ve never went a summer with out the best BBQ. A grill makes everything about how your BBQ tastes! Thank you for the info! I know for us after we moved we lost our grill so we will be looking for a new one, I am hoping to grab a gas grill this time. Hopefully soon we will own a nice grill of our own. Right now we just own a little charcoal one . You presented some interesting ideas on purchasing a grill. Thanks for the information. I know if I ever bought a grill, it would go up in flames. Thanks for the advice. Thanks for the tips on buying a grill.I just got a new one. We have both a gas and charcoal grill. I love grilling on the charcoal grill, everything taste better. There is nothing like a burger grilled on charcoal grill. I agree. Choosing the right grill fuel type is crucial. Thanks for the tips. All the food looks decadent. I thank you so much for the tips and pointers in getting a barbecue together. This will be especially handy for the Labor Day grilling. I love the Weber Go Anywhere grill. We can’t use a grill where we are, but we can have one for a picnic! Very helpful info! My husband brought back a huge grill with cast iron grates from Australia that we absolutely loved. These are all good things to keep in mind when you’re shopping for a new one! After a little bit of research we found one that works well for us.